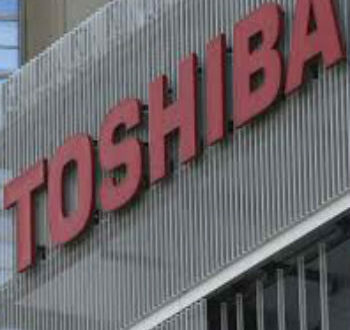 A total of four shareholders are demanding compensatory damages from Toshiba. The shareholders have submitted two actions for damages in relation to accounting to the Tokyo District Court. The claimants are seeking compensation of 5,115,911,395 yen (£36 million) and 13,133,064,492 yen (£93 million) on the grounds that damages were incurred due to the company’s ‘inappropriate accounting’. Served with the actions today, Toshiba is seeking to settle the agreement out of court. In a statement on its website, Toshiba announced that it will ‘handle the matter appropriately after taking into account the plaintiffs’’ assertions in the Actions, and intends to record a provision for a reasonably estimable amount, which has not yet been determined’. In total Toshiba is currently facing 18 actions for compensatory damages filed in Japan. The total being sought for these actions is almost 32 billion yen. In each case, Toshiba is attempting to reach ‘a reasonably estimable amount’. In the three months since missing its first quarterly earnings report deadline, the Japanese tech giant has been in free-fall. In an attempt to put the brakes on, the firm is seemingly offloading whatever it can to recoup more than $9 billion lost to its nuclear unit Westinghouse, a more-than-willing pool of cash-laden suitors has begun circling around Toshiba’s headquarters in Tokyo. Rubbing their palms together, investors from across the world are looking for a piece of the Toshiba’s fire sale. With a deal to sell-off its profitable chip business seemingly imminent, the firm now looks open to the idea of parting ways with its iconic TV business. The latest players said to be lining up potential bids are Apple and Google. According to reports in Japan, both US companies have enquired about investment in Toshiba’s NAND flash memory units, however neither has tabled a formal bid to date. 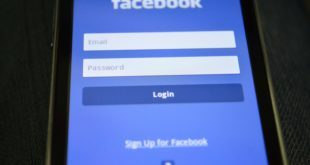 Both companies would be interested in taking on the business – valued at around $18 billion – with smartphones, tablets and other mobile-operated devices using huge amounts of NAND flash memory. Therefore acquiring Toshiba’s business, would give either company priority to getting memory supply needed for their products. Currently, both Apple and Google rely on Samsung and Micron for their supply of flash memory. With demand high and supply tight within the NAND market, acquiring its own unit would relieve the pressure on either Apple or Google.